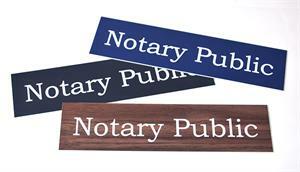 Elegant yet inexpensive frames to display your professional licenses, notary certificates, diplomas, awards, business licenses and other documents. Perfect for notaries public, engineers, architects, geologists, land surveyors, schools, sports and more. 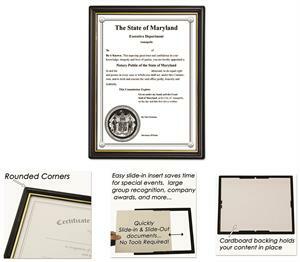 Fits 8 1/2" X 11" certificates. Black with inner gold border plastic frame, plexiglass lens. Looks great.